1. 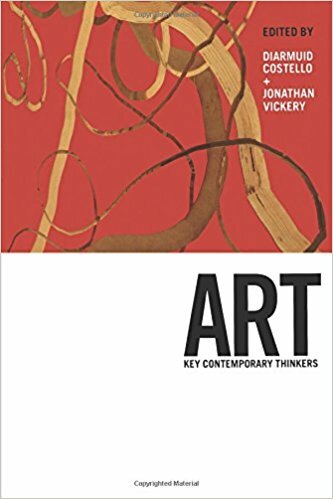 To defuse antipathy to aesthetics in art theory by showing that kinds of art typically thought challenging to aesthetics can be accommodated by a sufficiently rich aesthetic theory. To this end I have drawn on the neglected semantic potential of Kant's supposedly theory of art, and endeavoured to show that a variety of supposedly anti-aesthetic artforms can be accommodated by the resulting aesthetic theory. 2. To contest widespread assumptions in the philosophy of photography regarding the nature of photography, particularly as an artistic medium, in part by showing that it is predicated on a narrow diet of examples that distorts philosophers' understanding of the field, and in part by developing an alternative conception of photographic agency. The former draws on resources in art history, the latter on the philosophy of action. There is a book project associated with each of these goals. The former, 'Art after Aesthetics? A Critique of Theories of Art after Modernism,' is in progress. 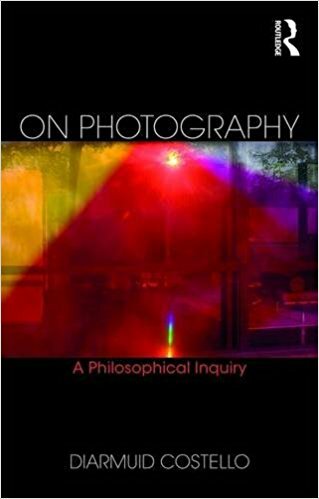 The latter, 'On Photography: A Philosophical Inquiry,' has recently appeared. Both involve substantive engagement with recent art and photography. Artists whose work has been important for these projects includes: (1) Brian Barry, Lawrence Weiner, Art & Language, Sol LeWitt, Adrian Piper, Richard Long, Martin Creed and Jeremy Deller; and (2) Ed Ruscha, James Welling, Jeff Wall, James Coleman, Thomas Ruff, Rineke Dijkstra, Lee Friedlander, Gerhard Richter, Chuck Close and William Kentridge. 3. I am also at the early stages of a collection of essays on the work of individual contemporary artists in relation various concepts attributing values and disvalue, provisionally titled Values in Contemporary Art and Photography. Projected chapters include: Martin Creed (aspiring to stupidity), Jeremy Deller (the idea of political engagement), Lee Friedlander (shame and its transcendence), Sol LeWitt (proof and redundancy), Richard Long (treading lightly on the earth), Adrian Piper (humour and hubris), Simon Starling (transfiguration), Jeff Wall (attentiveness), Lawrence Weiner (materiality) and James Welling (trust in the world), among others. From 2004-2012 I was a member of the British Society of Aesthetics executive committee, from 2008-12 as Chair of the Society. I have been a Leverhulme Senior Research Fellow, 2004-5, and Humboldt Experienced Researcher at the Institut für Philosophie, Goethe Universität, Frankfurt, 2012-13. From 2007-11 I was Co-Director, with Margaret Iversen (Dept of Art History & Theory, University of Essex), of the AHRC research project, ‘Aesthetics after Photography.' There have been three special journal issues, various publications and conferences, and an exhibition associated with this project. I was a member of the AHRC's Peer Review College, between 2010-14. I am happy to consider PhD applications from candidates wishing to work in related areas of research. Also published in book form by Wiley-Blackwell, 2012. Also published in book form by Wiley-Blackwell, 2010. 'Whither Photography Theory? Reply to Catharine Abell and Paloma Atencia-Linares' in 'The New Theory of Photography: Symposium on Dominic McIver Lopes, The Four Arts of Photography and Diarmuid Costello, On Photography, Aisthesis, 11:2 (Dec 2018) (special issue on the Aesthetics of Photography). 'What's So New About the "New" Theory of Photography?,' Journal of Aesthetics and Art Criticism, 75th anniversary issue, 75:4, Fall 2017, 439-452. '"But I am killing them!" Reply to Palermo and Baetens on Agency and Automatism', Critical Inquiry, 41:1, Fall 2014, 178-210. "Action and Automatism" in NONsite, Issue 11: Photography and Philosophy (Winter 2013/14), np. 'Kant and the Problem of Strong Non-Perceptual Art,' in The British Journal of Aesthetics, 53:3 July 2013, 277-298. 'Photography between Art History and Philosophy' (co-authored with Margaret Iversen) in Critical Inquiry 38:4 Summer 2012, 679-693. Reprinted in: Raphael Pirenne and Alexander Streitberger (eds.) Heterogeneous Objects: Intermedia and Photography after Modernism, Leuven: Leuven University Press, 2013. 'The Question Concerning Photography', The Journal of Aesthetics and Art Criticism, 70:1 Winter 2012. 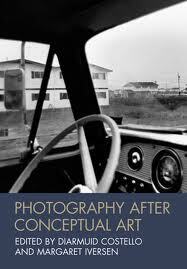 'Photography after Conceptual Art’ (co-authored with Margaret Iversen) in Art History, 32:5, Dec 2009; pp. 825-835. 'Automatism, Causality and Realism: Foundational Problems in the Philosophy of Photography' (co-authored with Dawn Phillips), Philosophy Compass 4:1, 2009, pp. 1-21. 'Pictures, Again,’ Australian and New Zealand Journal of Art, 8:1, 2008, pp. 11-42. 'On the Very Idea of a "Specific" Medium: Michael Fried and Stanley Cavell on Painting and Photography as Arts,' Critical Inquiry, 34:2, Winter 2008, pp. 274-312. Reprinted in: Sunil Manghani (ed.) Images: Critical and Primary Sources, London: Bloomsbury, 2013. Translated as: 'Cosa mai è successo all'"incorporazione"? L'eclisse della materialità nell'ontologia dell'arte di Danto', a special issue of Rivista di Estetica 'Artworld & Artwork: Arthur C. Danto e l'ontologia dellarte' ed. Tiziana Andina e Alessandro Lancieri, 35:2, 2007; pp. 113-128. ‘Greenberg’s Kant, and the Fate of Aesthetics in Contemporary Art Theory,’ The Journal of Aesthetics and Art Criticism, 65: 2, Spring 2007; pp. 217-228. Translated as: 'Kant Podle Greenberga, Aneb Osud Estetiky V Soucasné Teorii Umení' in Sesit pro Umení, Teorii a Príbuzné Zony (Notebook for Art, Theory and Related Zones, No. 6-7, 2009), Yearbook of the Academic Research Centre of the Academy of Fine Arts, Prague; pp. 44-66. ‘On Late Style: Arthur Danto’s The Abuse of Beauty,’ British Journal of Aesthetics, 44:4, October 2004; pp. 424-439. 'Lyotard’s Modernism' in 'To Jean-François Lyotard,' special issue of Parallax (17); October 2000; pp. 76-87: here. 'S T U P I D A R T,' forthcoming in Elisabeth Schellekens and Davide Dal Sasso (eds.) 'Martin Creed and Philosophy', London: Bloomsbury, 2019. 'Xenophobia, Stereotypes and Empirical Acculturation: Neo-Kantianism in Adrian Piper's Performative Conceptual Art,' in Connie Butler and David Platzker (eds.) Adrian Piper: A Reader, New York: MoMA Press, 2018; pp. 64-117. 'On the (So Called) Problem of Detail: Michael Fried, Roland Barthes, and Roger Scruton on Photography and Intentionality,' in Mathew Abbott (ed.) Michael Fried and Philosophy: Modernism, Intention, and Theatricality, London: Routledge, 2018; pp. 151-170. 'Doing Justice to the Art in Photography,' in Dominic McIver Lopes, Four Arts of Photography, Wiley-Blackwell, 2016; pp. 135-146. 'Leaning into the Wind: Poiesis in Richard Long' in Aron Vinegar and Amanda Boetzkes (eds.) Heidegger and the Work of Art History, Ashgate 2014; pp. 141-169. 'Kant, l'opera d'arte, l'immagine' in Daniele Guastini, Dario Cecchi, Alessandra Campo (eds.) Alla fine delle cose: Contributi a una storia critica delle immagini, Firenze: VoLo, 2011; pp. 109-122. ‘Retrieving Kant’s Aesthetics for Art Theory after Greenberg: Some Remarks on Arthur C. Danto and Thierry de Duve’ in Francis Halsall, Julia Jansen and Tony O’Connor (eds.) Re-Discovering Aesthetics, Stanford: Stanford University Press, 2009; pp. 117-132. ‘Kant and Danto, Together at Last?’ in Kathleen Stock and Katherine Thomson-Jones (eds.) New Waves in Aesthetics, Palgrave MacMillan, 2008; pp. 244-266. Reprinted in Mark Rollins (ed.) Danto and his Critics, 2nd Edition, Wiley-Blackwell, 2012; pp. 153-171. 'Kant after LeWitt: Towards an Aesthetics of Conceptual Art' in Peter Goldie and Elisabeth Schellekens (eds.) Philosophy and Conceptual Art, Oxford: Oxford University Press, 2007; pp. 92-115. 'After Medium-Specificity chez Fried: Jeff Wall as a Painter, Gerhard Richter as a Photographer' in Photography Theory, ed. James Elkins, London: Routledge, 2007; pp. 75-89: here. ‘Overcoming Postmodernism’ in Art History versus Aesthetics, ed. James Elkins, London: Routledge, 2006; pp. 92-98: here. ‘Intención e interpretación: aporías de la crítica a la Teoría Estética de Danto’ (‘Intention and Interpretation: Aporias in Danto’s Critique of Aesthetic Theory’) in Francisca Pérez Carreño (ed.) Estética después del fin del arte. Ensayos sobre Arthur Danto, Madrid: Antonio Machado, 2005; pp. 233-256: here. ‘Aura, Face, Photography: Re-reading Benjamin Today,’ in Andrew Benjamin (ed.) Walter Benjamin and Art, NYC/London: Continuum, 2005; pp. 164-184. Translated as: 'Aura, Rostro, Fotografía: releer a Benjamin hoy' in Alejandra Uslenghi (comp.) Walter Benjamin: Culturas de la Imagen. Buenos Aires: Eterna Cadencia Editora, 2010; pp. 99-140. ‘“Making Sense” of Nonsense: Conant and Diamond Read Wittgenstein’s Tractatus’ in Barry Stocker (ed. ), Post-Analytic Tractatus: A Reader, Aldershot: Ashgate, 2004; pp. 99-125. ‘Museum as Work in the Age of Technological Display’ in Dana Arnold and Margaret Iversen (eds. ), Art and Thought, Oxford: Blackwell, 2003; pp. 174-196: here. "Inventory:" James Welling and the Space of Photographic Possibility, Curated by Diarmuid Costello in collaboration with James Welling: in development. Hannah Starkey: Twenty-Nine Pictures, Mead Gallery, University of Warwick, 2011: 88pp catalogue published by Mead Gallery and Maureen Paley, London with contributions by Diarmuid Costello and Margaret Iversen.